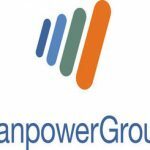 ManpowerGroup Employment Outlook Survey: Bulgarian Employers Report Slightly More Cautious Hiring Plans for the First Quarter of 2019. 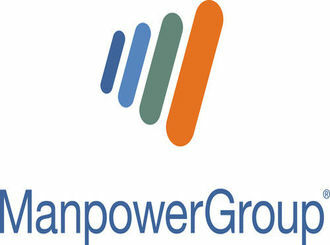 Sofia, Bulgaria, December 11th, 2018 – Bulgarian employers anticipate modest hiring activity in the January-March timeframe, according to ManpowerGroup Employment Outlook survey results released today. With 11% of employers reporting to grow staffing levels, 7% forecasting a decline and 78% anticipating no change, the country’s Net Employment Outlook1 stands at a seasonally adjusted +8%. The outlook which collects data from 620 employers across five regions in Bulgaria is the weakest in four years as hiring prospects decrease by 2 percentage points when compared with the previous quarter and by 5 percentage points on an annual basis. 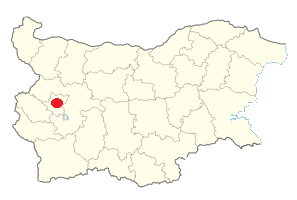 Employers expect to increase staffing levels in all five regions during the next three months, with the strongest labor market anticipated in Plovdiv where the Net Employment Outlook is +12% – an improvement of four percentage points compared to the previous quarter. Some hiring opportunities are expected in Sofia and Varna with Outlooks of +9%, while employers in Rousse and Burgas report Outlooks of +8% and +7%, respectively. When compared with the previous quarter, hiring intentions weaken in three of the five regions with Varna employers reporting the most noteworthy decrease of 8 percentage points, while Outlooks are 2 percentage points weaker in both Burgas and Rousse. Meanwhile, the Sofia Outlook is 2 percentage points stronger. Sector-wise, staffing levels are forecast to grow in all 10 industry sectors during the coming quarter. Finance, Insurance, Real Estate & Business Services sector employers report the strongest hiring intentions with a Net Employment Outlook of +25% – a significant increase of 15 percentage points compared to the previous quarter. The Construction sector also reports an increase of 15 percentage points with an Outlook of +19%, while Wholesale & Retail Trade sector employers report an Outlook of +14%. In both the Agriculture, Hunting, Forestry & Fishing sector and the Manufacturing sector employers forecast moderate workforce gains with Outlooks of +10% while employers from the Mining & Quarrying and the Public & Social sectors report the weakest Outlooks of +2%. In addition, employers from medium-size companies (50-249 employees) share the strongest hiring intentions with a Net Employment Outlook of +14%, while the Outlook for Large employers (>250 employees) stands at +13%. Outlooks of +8% and +6% are reported for the Small- (10-49 employees) and Micro-size (<10 employees) companies, respectively. When compared with the previous quarter, Medium employers report an improvement of 5 percentage points, but Outlooks are 4 and 3 percentage points weaker for Large- and Small-size employers, respectively. Meanwhile, Micro employers report relatively stable hiring plans. 1 The Net Employment Outlook is derived by taking the percentage of employers anticipating an increase in hiring activity and subtracting from this the percentage of employers expecting a decrease in hiring activity.